An intermittently inventive movie inspired by other cinematic sources. 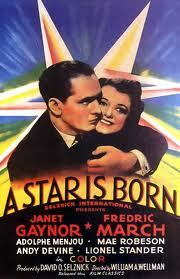 1937's 'A Star is Born' - the first of three Hollywood movies sharing the same title and a plot about the decline of a silent film movie star with the introduction of talkies and the corresponding rise to stardom of the woman he loves. A clever Australian comedy from 1997. 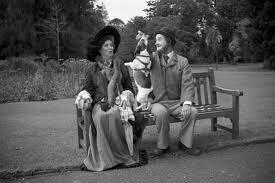 It has a cute dog, lots of slapstick and most importantly, lots of 1920s silent comedy routines and no dialogue. Sound familiar? 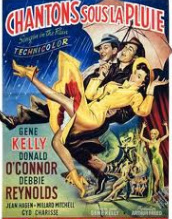 A classic Hollywood musical, 'Singin' in the Rain', with its plot about the fall and rise of a silent movie star was tremendously popular in France. 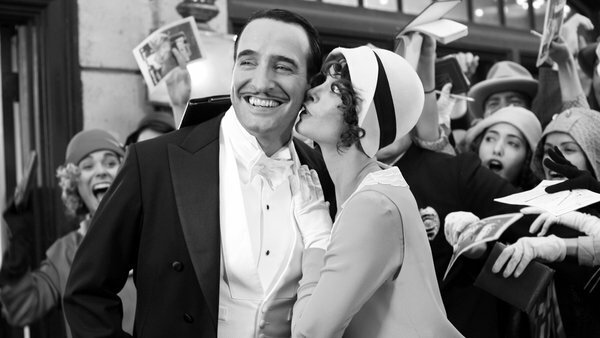 'The Artist' is heavily indebted to the cinematic style and distinctive humour of the French director Pierre Étaix. French Director Jacques Tati's films, like 'Monsieur .Hulot's Holiday' had little if any dialogue, instead relying on sustained sight and sound g- and sometimes cute animals, like a parrot. The influence of French movie director Pierre Étaix (born 1928) is visible in almost every scene of The Artist. Étaix's life is worthy of a movie itself. Not only has he been a director and a script-writer. 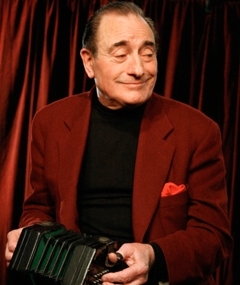 He has also been a clown, a graphics artist, an actor, an illusionist, a circus performer,and worked in cabaret and variety. 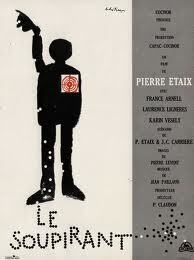 Étaix won an Oscar in 1962 for best short feature film -Happy Anniversary. He has also written several books on cinema, including works on Buster Keaton and jerry Lewis. His work has influenced Fellini, Jerry Lewis and, recently, Hazanavicius. Étaix made a handful of comedy features during the 1960s. They include The Suitor, YoYo, and So Long as You're Healthy. LIke Tati, Étaix loved Hollywood's golden age silent comedies, with its great comics and directors such as Harold Lloyd, Chaplin, Laurel and Hardy and Keaton. His own comedies, like The Artist, incorporate features of golden age comic styles and techniques.These include physical dexterity, notably flexibility of limb and features, employed to comic effect. Many of the gags are of the slapstick type, involving chases, collisions, amazing avoidance of accidents as well as wayward objects, often including animals and/or children. There are also chain gags, one mishap inevitably causing an escalation of falls, smashes, and embarrassing outcomes. Carefully selected camera angles also add to the comic, sometimes surreal effect. His films also feature an animal or two, stock comic figures,pretty ingenues, and a male lead struggling to gain or regain happiness - all features of The Artist. 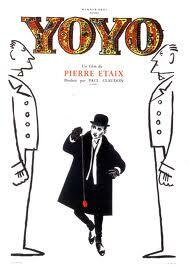 But Étaix's comedies are tauter and better-paced than Hazanavicius' film, which drags during its second half. The clip below from YoYo shows just how much of Étaix' cinematic and comedic style is used in The Artist. 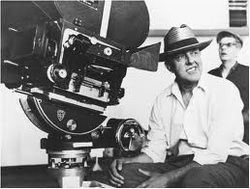 Jacques Tati -the 'Don Quixote of cinema'. Étaix's film career began in 1954 when he started to work for one of the giants of cinema comedy, Jacques Tati, who was then in pre-production mode on his famous comedy Mon Oncle. He spent four years with Tati, who worked in the silent film comedy tradition, using minimal dialogue. Étaix worked preparing comic set-ups, as a draughtsman and then as assistant director on the film itself. Like Étaix, Tati made few films: only four in thirty years.He didn't start making films until he was forty, having spent fifteen years as a music hall performer and an actor.His first film , Jour de Fete, relied on silent comedy routines but used sound effects as comic counterpoints. This feature was employed more extensively in his next film, Mr Hulot's Holiday, which introduced a beloved stock French comic figure, modelled on Chaplin and Keaton ˆThe film on which Étaix worked with Tati, Mon Oncle, won an Oscar. It comically contrasted Hulot's life in a small, traditional French village and his sister's life in her modern, Americanised apartment in a new city nearby. The affectionate mood of these three films, with their moments of sllpstick comedy,sympathetic characters, meticulously timed set-pieces and brillant use of sound effects can also be seen in The Artist. 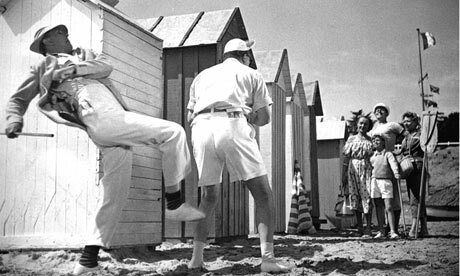 The sequence below from Mr Hulot's Holiday illustrates the use of music and sound, and the clever construction of a pay-off gag. 'The Suitor': Etaix's wistful early 1960s comedy featured clever sound gags, little or no dialogue, and luminous black and white photography. 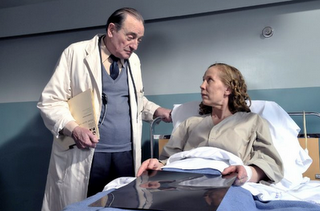 Etaix as a doctor in Aki Kaurismaki's 2011 movie, 'Le Havre'. 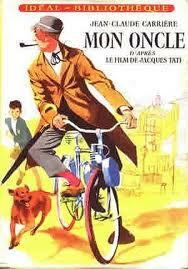 Etaix worked for several years with Tati on the latter's classic almost-silent comedy, 'Mon Oncle'. 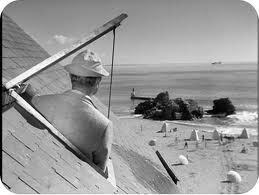 Still from 'Mr Hulot's Holiday'. Both Tati and Étaix used novel perspectives to achieve comic effect in their films. So does Hazanavicius in 'The Artist'. Still from 'Holiday'. Note the cute dog, one of the stars of this Australian comedy, made four years before The Artist. Not only does this Jack Russell dog resemble Uggy, the canine hero of The Artist, the mutt also provide comic relief and helps along the plot -as does Uggy. 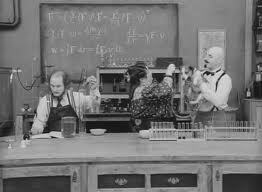 Dr. Plonk was directed by Rolf de Heer, who decided that several thousand feet of old film stock that he found in a refrigerator would give an authentic look to a silent black-and-white comedy of the Hal Roach -Mack Sennett style.De Heer's movie mixes slapstick silent comedy with a plot about an inventor who decides in 1907 that the world will end in 101 years time and builds a time machine to take him and his deaf-mute assistant (a nice touch) a century into the future to warn Australians of the impending catastrophe.The film's use of the cute little dog, (see below), chase sequences, police, sight gags and the black and white photography are, at times, superior to their use in The Artist. 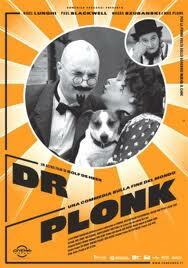 'Dr PLonk' makes good use of a photogenic and clever little dog, just as 'The Artist" would do four years later. Slapstick comedy is the comic heart of 'Dr Plonk'. The time travel element is cleverly used in 'Dr Plonk'.